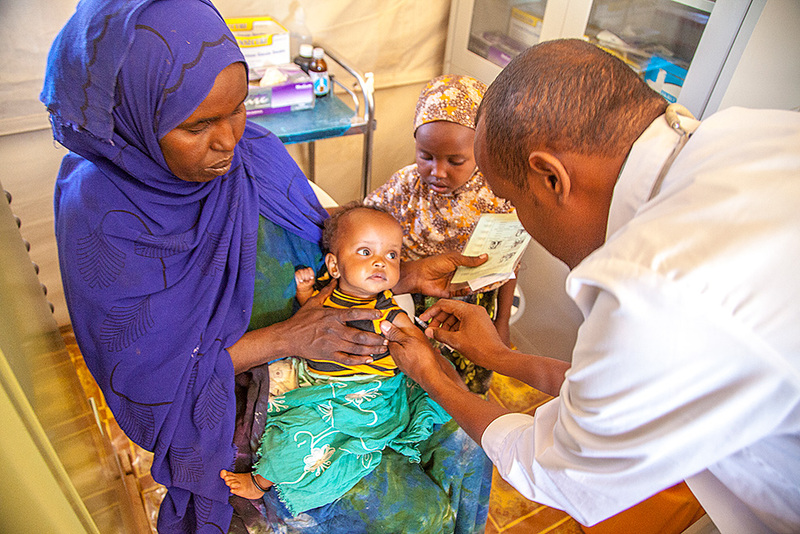 Geneva – Ahead of World Health Day, which will take place tomorrow (07/04), IOM calls for ‘Universal Health Coverage: Everyone, Everywhere’ to ensure the inclusion of internally displaced persons (IDPs). People displaced within the borders of their own countries are often excluded from health services and have difficulties in accessing them due to social exclusion, financial constraints, as well as cultural and political barriers. “Without migrants, including internally displaced people, universal health coverage (UHC) would not be truly universal,” said Jacqueline Weekers, Director of the Migration Health Division at IOM. “Their inclusion is of paramount importance to rights-based health systems and global health security. Not doing so, counters public health principles, ethics and universal health care goals,” she added. 2018 also marks the 20th anniversary of the Guiding Principles on Internal Displacement (GP20), a global framework for advancing protection, prevention and solutions for IDPs. The framework states human rights and humanitarian law relevant to displacement, including the safe access to essential medical services and sanitation. More than 40 million people are displaced by conflict within the borders of their own country. In addition, disasters displace an average 25 million people per year. As the magnitude of internal displacement is set to continue, IOM remains committed to increase access to quality, equitable health care services for vulnerable migrants including internally displaced people. IOM stresses the importance of inclusion of IDPs in the 2030 Agenda for Sustainable Development, especially in addressing universal health coverage. IOM is a lead actor in addressing internal displacement through provision of humanitarian assistance, including essential health care and strengthening local health infrastructure. In 2016, IOM’s operations reached more than 19 million IDPs and provided over 6 million host community members with support across 31 countries, making IOM one of the largest actors on internal displacement globally. As a member of the Global Health Cluster, IOM’s health emergency activities are extensive. For example, IOM has provided life-saving health care services to more than 600,000 individuals across South Sudan, including IDPs in protection of civilians (PoC) sites in 2017. “Internally displaced people are among the world’s most vulnerable; facing poverty, loss of education, unemployment, marginalization and insecurity, to name only a few,” said IOM Director General William Lacy Swing. “Addressing internal displacement is a global humanitarian imperative, one that is critical for the fulfilment of the 2030 Agenda for Sustainable Development,” he added. IOM is committed to the principle that “humane and orderly migration benefits migrants and society.” In this era of unprecedented scale of internal displacement, 2018 is the time to reflect on what has to be done to reduce displacement, and support the displaced and empower them in the responses and solutions; strengthen partnerships and operational responses; and promote a stronger political and health agenda on internal displacement. IOM Member States committed to ‘leave no one behind’ through the adoption of the 2030 Agenda for Sustainable Development and its dedicated target to achieve Universal Health Coverage, which will be possible only through the inclusion of migrants. For more information on international displacement, please click here.